G.O.O.D Music artist and rapper of the hit song “Panda” Desiigner was arrested Thursday night in New York on felony charges after pills and a loaded weapon was found in his SUV. It was said that Desiigner was in an SUV Thursday night in New York when it got pulled over after the police were called. 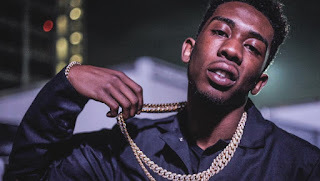 The police told TMZ that Desiigner and 4 other individuals were arrested after the car was searched and they found loose pills including Oxycontin in the center console and a loaded weapon. Desiigner was accused of pointing a gun at a driver in traffic after an argument. The driver took down the license plate number and called 911 and that’s how they were apprehended. Everybody in the vehicle was arrested with criminal possession of drugs with intent to sell and felony criminal possession of a loaded weapon and as of now they are still in police custody. Sounds Like a SETUP to Us. What do the Power Listeners think?